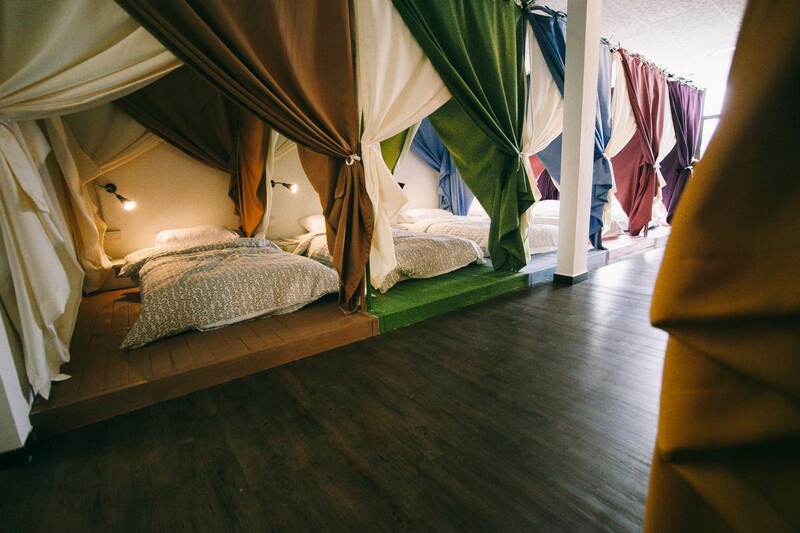 Their rates of their bunk beds per night are admittedly at a flashpacker price point (because they are) but their overall friendly, upbeat service makes up for it. Casual socialising happens almost naturally at their common area where guests can enjoy movies on the telly and surf away on Ryokan's readily available iPads with free Wi-Fi. 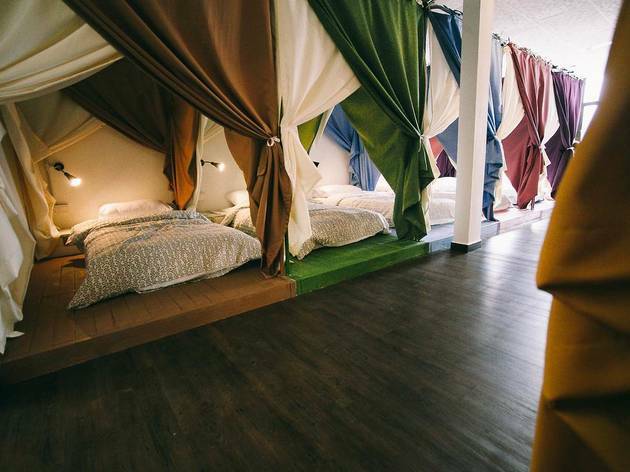 Founded by Zoe Tam and Rachel Koay who are travallers themselves, Queen's offers budget-friendly lodging strictly for ladies - snagging the title as the local's first female-friendly hostel. 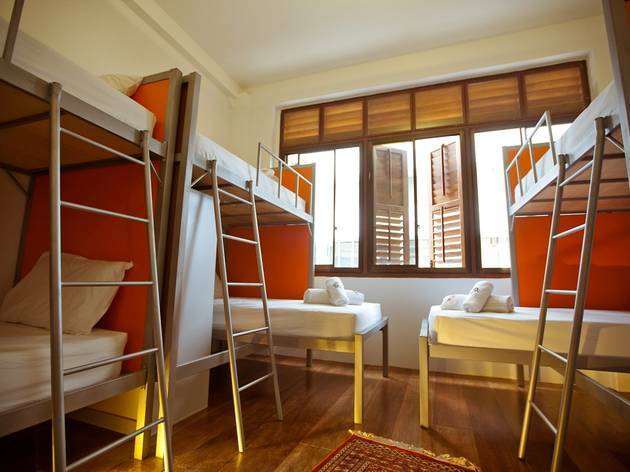 The hostel features mixed couples rooms (open to female guests with male friends) and upstairs, a canopy-covered dorm with comfortable mattresses to rest your weary heads. Beauty essentials from hair straighteners to OPI nail lacquers and full-length mirrors are also available to make you feel all-pretty before stepping out. 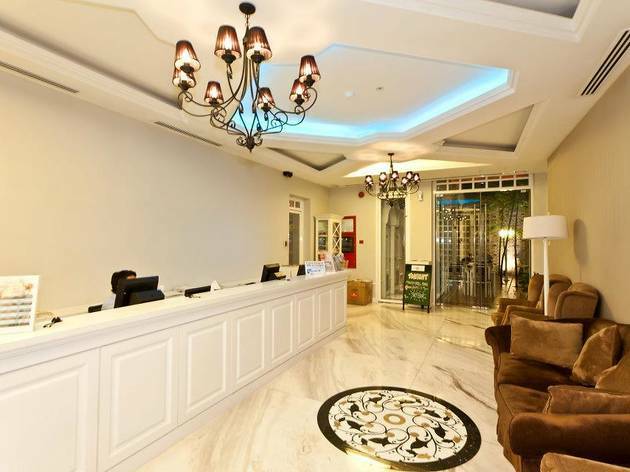 To satiate your midnight hunger pangs without braving the darkened streets and corners, rummage their lobby basket for mineral water, instant noodles and snacks. 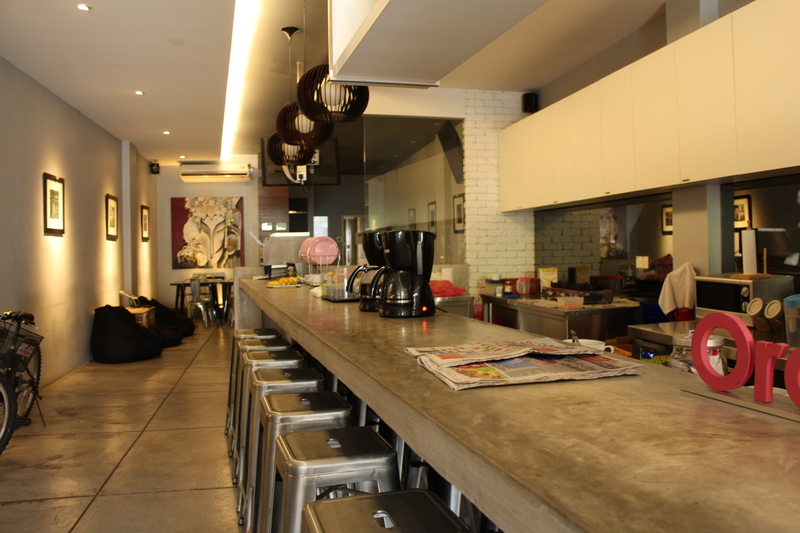 Relatively new, Syok is a non-expensive stay and a hang out joint rolled into one. 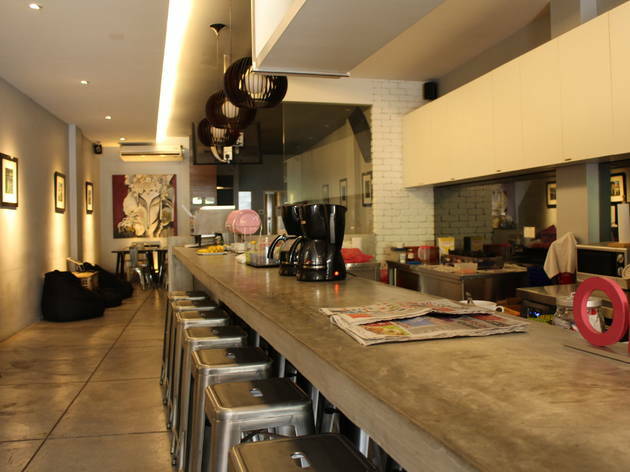 The Syok lounge and bar only caters to hostel guests, so crowd control is not a worry. If you prefer to spend the rest of the day indoors, sit in for one of their two theatre nights each week that screens classic movies on its 50" HDTV. Cold beers and soft fizzies are all within reach from the bar or enjoy their complimentary coffee and tea served all day long. 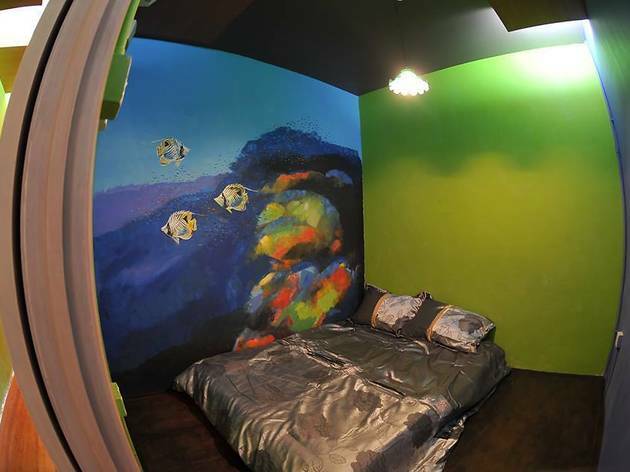 Inspired by the island's love for street art, this aptly-named homestay comprises seven rooms that are divided into Lebuh Armenian and Lorong Lumut. 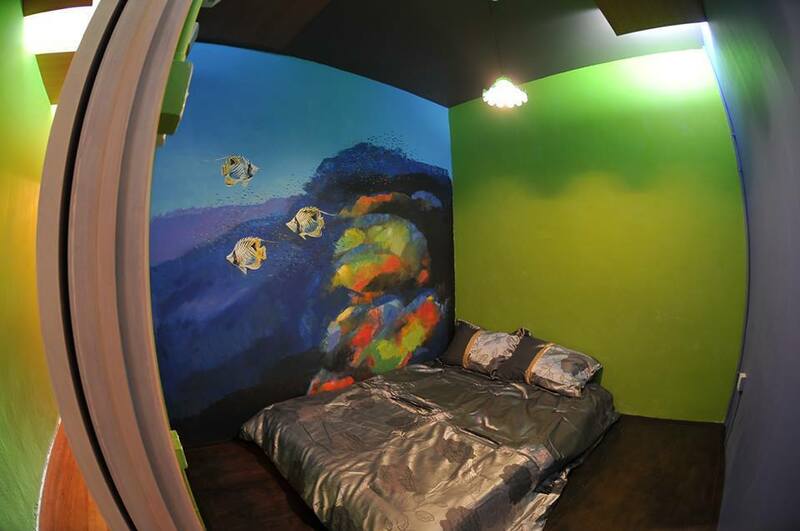 Every room comes in varying art themes from 90s cartoons (think, Tom & Jerry) to a water lily mural. 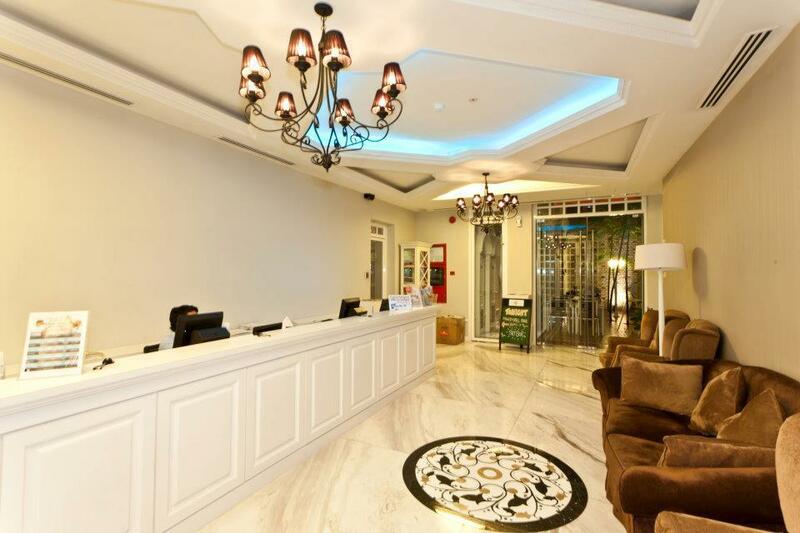 Its eco-friendly aesthetics such as the chandelier designed from biscuit tins and chairs made out of plastic carton boxes will be well appreciated by tree-huggers. 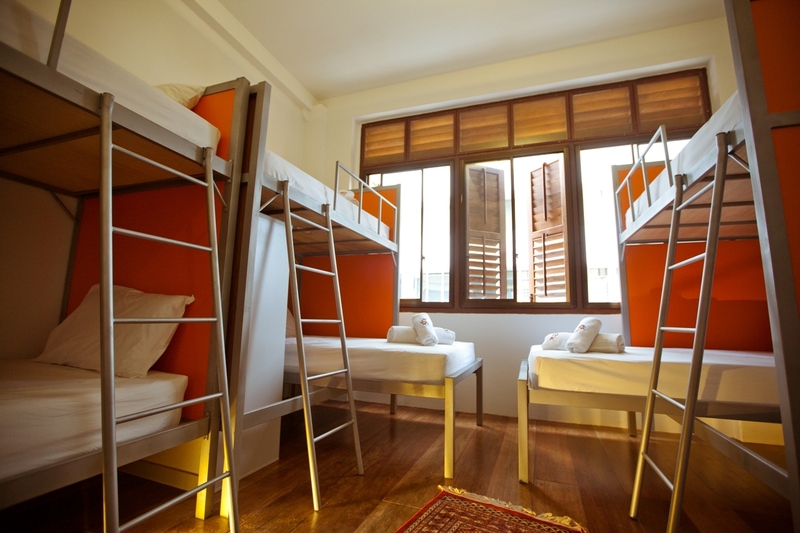 Originally a colonial era shophouse, Reggae caters to only foreign backpackers. Down the road from Reggae Hostel is the hip and loud Reggae Mansion Bar. If a quieter spot is much preferred without compromising the partying vibe, guests can hang out at their upstairs bar from 3pm until past midnight. Light music conquers the earlier half of the day while 10.30pm onwards is reserved for jazz and R&B playlists. It's not the best stay for light sleepers but music lovers will treat the late night jamming like a lullaby.